OGNARUD is a sculpture installed in Durango. serves as a "humanizing element" in an area of new construction that links to the new station designed by Zaha Hadid. 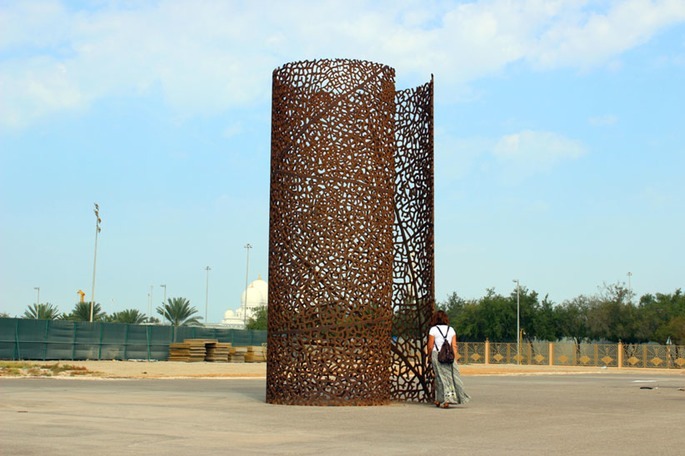 An inverted replica was installed in Abu Dhabi in a convection international public art, the name of this sculpture is DURANGO, as the city that inspired it.OGNARUD means DURANGO upside down. Is a set of meanings between the two cities looking in the mirror, Durango and Abu Dhabi - EUA.